Looking for a property in Umred Road? Have a property in Umred Road? Have a good knowledge of Umred Road? Share it and become a Locality expert. 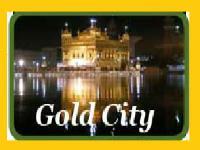 Gold City - (Aajani) Near MIHAN (Multi-modal International Hub Airport at Nagpur), (Mouza-Aajani), Wardha Road. Plot size starts from 1614.00 Sq.Ft. app.